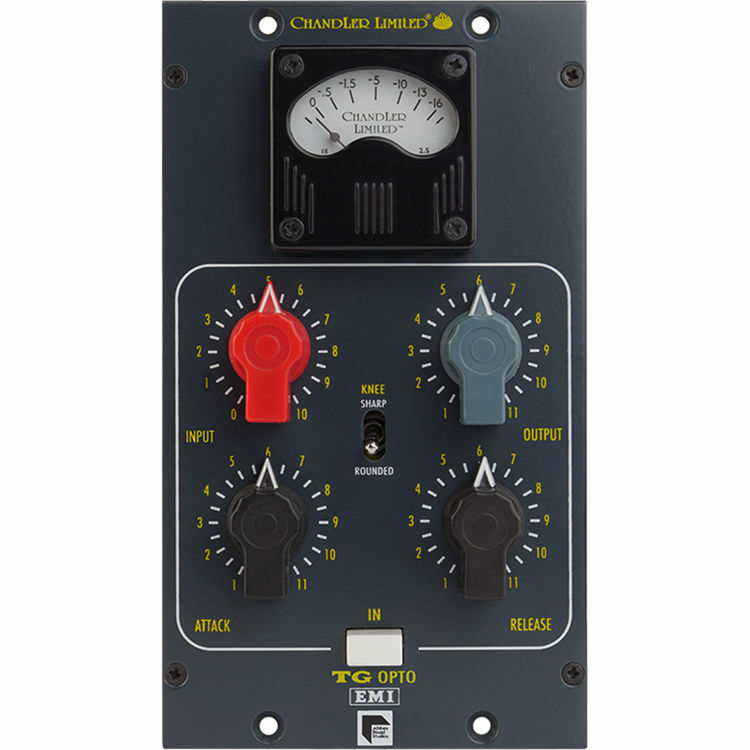 Designed with the EMI TG12345 mixing and mastering console in mind, the Chandler Limited TG Opto Compressor is a hand-made, fully discrete, monophonic optical-compressor in a dual-space, 500-Series format. The TG Opto is a relative of the TG1 Opto, found in Chandler Limited's TG Microphone Cassette, TG1 Limiter, and Zener Limiter. 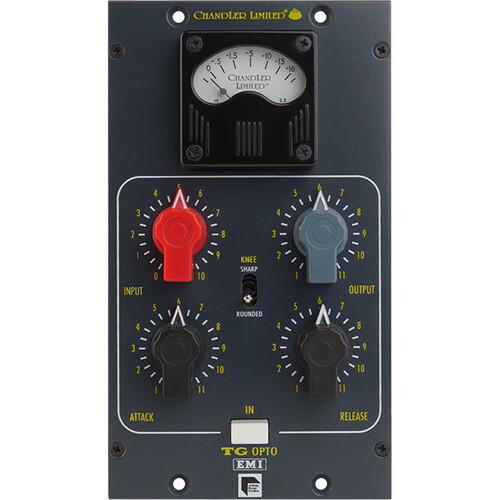 The TG Opto Compressor features continuous attack, release, input, and output controls, as well as a switchable knee with sharp or rounded selections. The sharp setting is equivalent to the limit mode on the TG1 and Zener Limiters, and is considered hard. When the Knee switch is set to Sharp, the compression will be full ratio. The Rounded setting is a soft knee, which reacts independently from the ratio, and is well suited for scenarios requiring less obvious compression such as vocals and other melodic material.